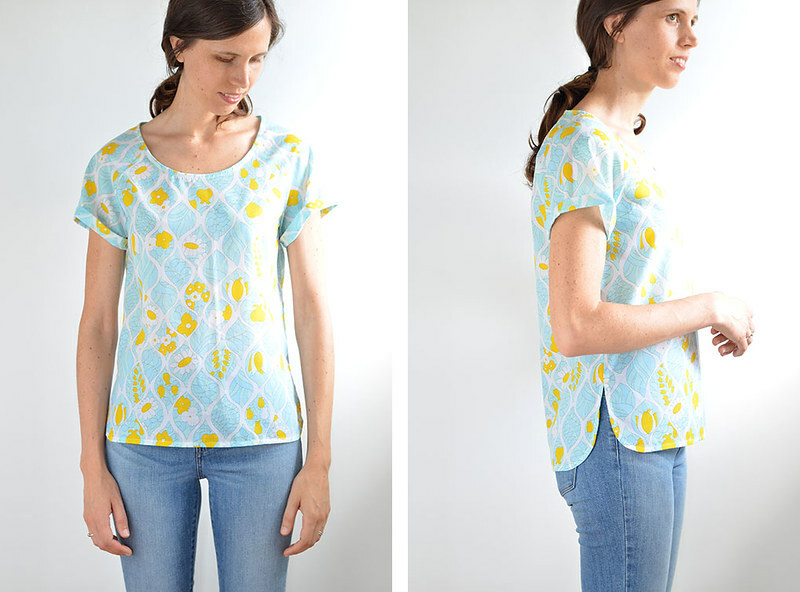 Here's a fun top I made recently with vintage fabric and pattern D from Japanese pattern book "Simple Wardrobe". This top was a quick and easy make, basic but with some nice details... I especially like the neckline and raglan sleeves. I made only a couple of adjustments to the pattern after doing a quick test: I shortened the sleeves quite a bit and added a curved hem. I'm quite happy with the fit (I made size 9 and mine is obviously not as oversized as the striped version in the book, but that's fine with me). Oh, this delightful fabric is another treasure from my grand haul last summer. 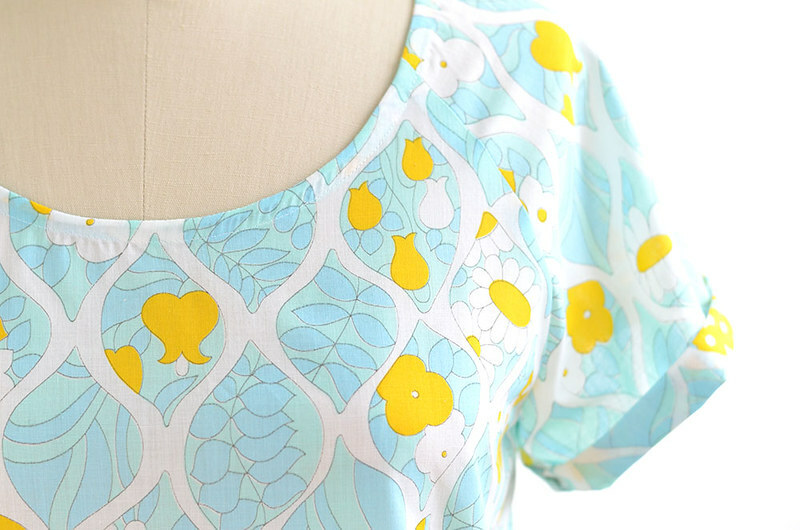 Very pretty and your neckline is so lovely and flat! Beautiful! 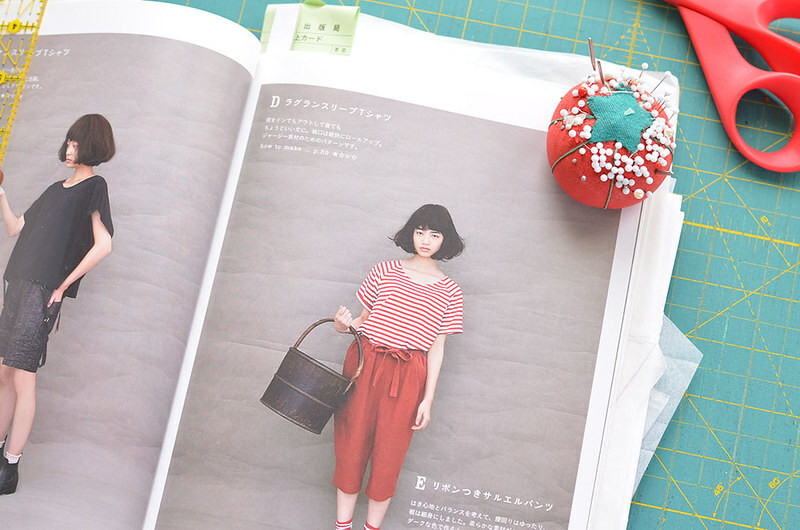 I always, always love seeing what you make from Japanese books. This is lovely as usual. 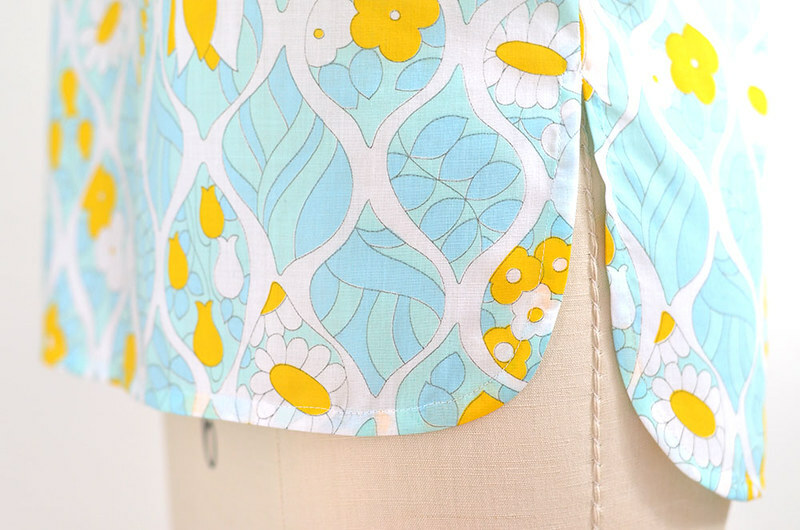 Th fit looks good :-) I love all these vintage fabric projects!